Natio Pure Mineral Foundation has light reflecting minerals gently illuminate, soften and adapt to skin tone for a fresh, radiant and beautiful complexion. Brings light to the face and softens the appearance of fine lines. Lasts from morning to night with no need for touch-ups. Enriched with vitamins C and E to smooth and repair. Jojoba to soften and moisturize. Lightweight mineral pigments allow the skin to breathe. Explore the entire range of Foundation available on Nykaa. 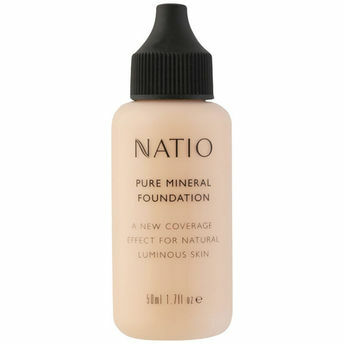 Shop more Natio products here.You can browse through the complete world of Natio Foundation .Alternatively, you can also find many more products from the Natio Pure Mineral Foundation range.